To convey some kind of accuracy in the decal artwork it’s traditional for me to scour book and the internet to find the sources of inspiration for the artists and model creators. Apart from Betty’s dream I was stumped on this one. I had to turn to Mark Proulx, this decal sheet’s researcher for EagleCals to help out. We will look at the research and the aircraft later – first what comes in the pack. In a zip-loc bag, sent in a safe package with hard cardboard backing I received my decals – two sheets of quite glossy stock – printed by Cartograf in Italy. I know there was quite a delay in getting these printed but the wait for the Italian supplier was worth it. The sharp printing is within register and the colours are true and not too strong or alternatively not weak and opaque with the lighter white colour. One sheet consists of eight national markings – four of the faded kind – and Hamilton standard propeller decals enough for all three aircraft. The other sheet contains the markings for each of the aircraft’s decorations. Large bat wings for “betty’s Dream” along with a large red and white mouth as well as the large “Fatso” in a strong white and “199” in the simple aircraft insignia yellow. 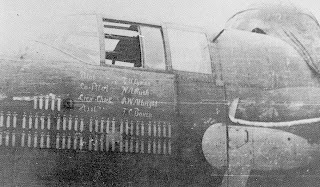 Only the bare stencilling is supplied with this sheet - though you can read each of them quite clearly and see each aircraft’s numbers are correctly represented. Carrier film is fairly minimal and not used when not necessary to carry and keep the decal in one piece. I cannot show you this decal in place on this kit – though I have used them a few times before – and I as you can see from the picture below (used on a 1/32 Tamiya Mustang) they sink into a kit’s rivets very well – I always use micro set/sol combination – any decal setting combo will work just as well – and this just helps the process along a little. On large decals like these thick decals like these are strong enough to take the strain of a lot of placement and movement like you would have to – especially on the nose of “Betty’s Dream” where the bat nose covers the whole thing and wraps around. There has been good research that has gone on in the creation of the sheet. As I was saying earlier Mark Proulx researched this sheet – you can find many of these aircraft in the book “Warpath Across the Pacific” which was the book which highlighted the Air Apaches WWII record. This is noted on the instructions, which are an A3 sheet folded twice to make a coloured A5 instruction sheet to accompany the decals. Each aircraft is captured in side on profile as well as a top view of each of the “ships” listing all of their particulars. The researchers have included a brief write up of each of the aircraft’s history on the instruction sheet. Special notes like “heavy weathering on the pros” and several other details particular to each of the aircraft are noted here – this sure does take the guess work out of it as I had to search high and low for any reference – these aircraft are so rare in picture form. A great job on the research and the artwork - Let’s look closer at the individual markings of each aircraft and the original planes in period snaps. 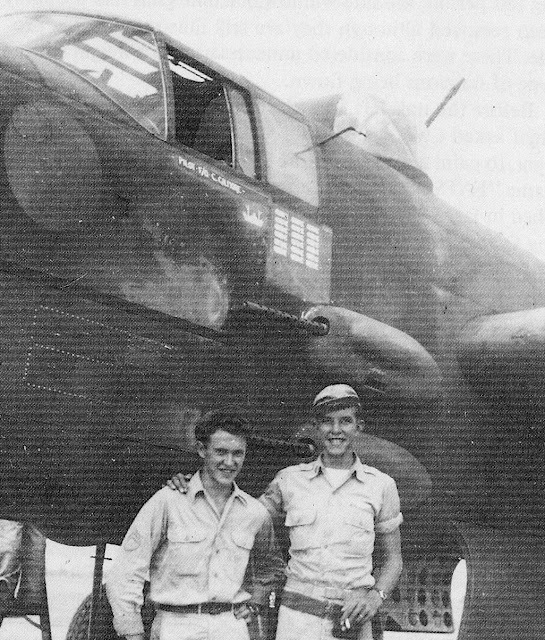 “Fatso” - captured here in decal form at San Marcelino ( in the Philippines) in April 1945 - this was a B-25j from the air apaches which was olive drab all over – excluding a vertical white flash on the fuselage and with neutral grey undersides. 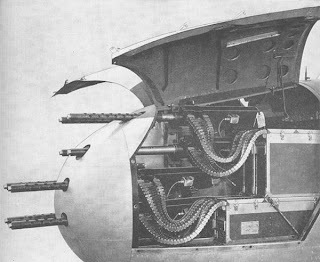 Along with the “588” in outlines writings on the twin vertical tails and the B.G. emblem this aircraft had a large red spot on either side of the nose on which a personal emblem was going to be painted but never did end up being finished. 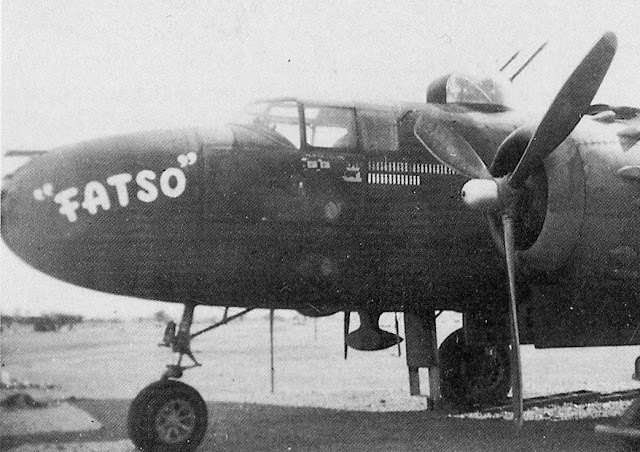 Apparently the “Fatso” name was applied by the crew chief technical sergeant Jackson T. Pratt – only to be order it be removed by the engineering officer only after a few missions. 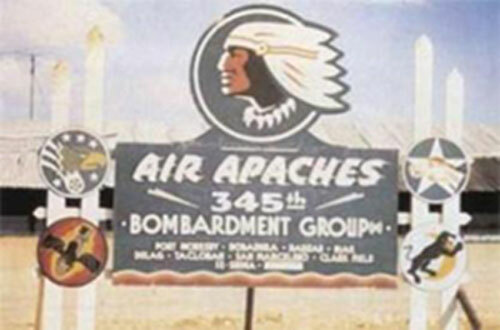 This was one of the only planes in the unit that carried a scoreboard or personal markings – The fuselage under the pilot F/O Charles E Gilmore Jr. had emblazoned his name in white as well as a scoreboard of two ship silhouettes, fifteen missions marked by bombs painted in yellow – as is on the decal sheet. “199” was a veteran of the 501st squadron of the Air Apaches. This aircraft started out it’s career with a glass nose in Olive Drab and Neutral grey undersides – but gained an all metal straffer nose at some point in her service life. This nose was never painted and so in this state the machine will be an interesting model. 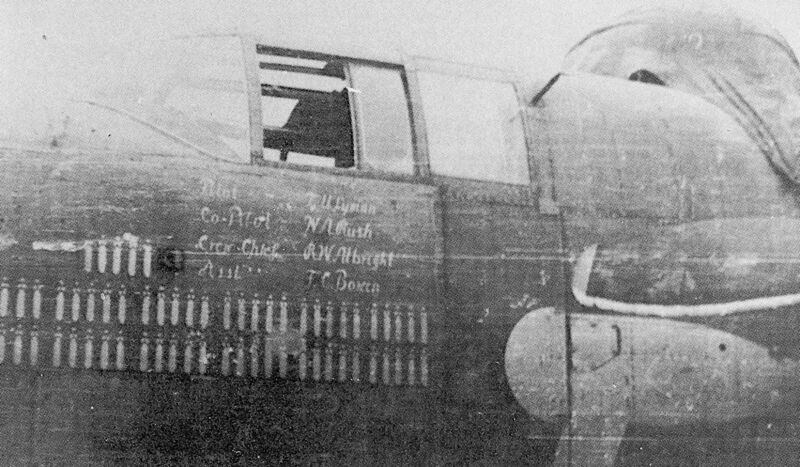 Plain in view is the decal and the crew names – written correctly and in insignia yellow to go under the pilot’s window. The “199” was the end three numbers of the serial code and is there to go on the vertical tails. Noticeable in this photo was the replacement rear starboard rudder which was left the base colour and not painted to match the tail emblem. One of the most famous B-25’s in the war and sure to be many’s favourite. 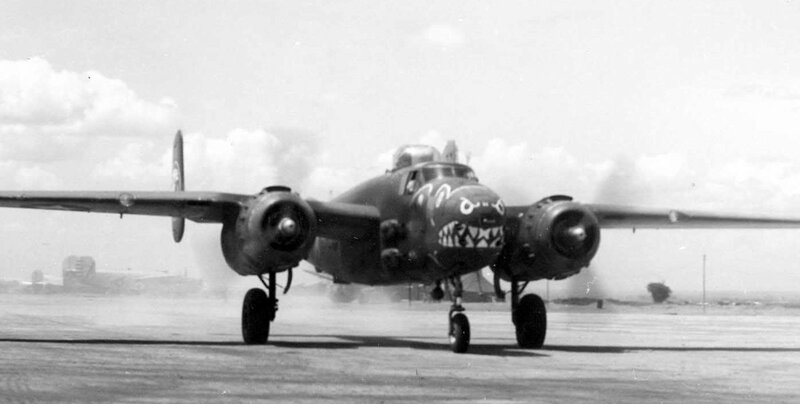 This aircraft was flown by Charles E. “Pop” Rice Jr. of the 499th Squadron. Below is a wartime picture of this aircraft and her impressive nose armament. 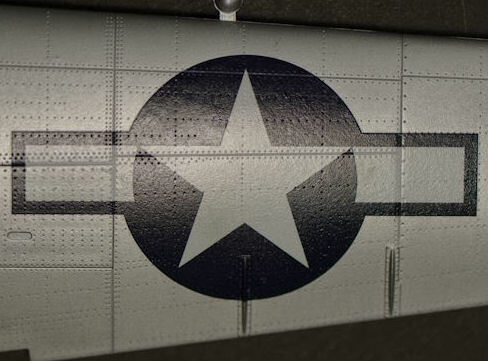 “Pop’s” aircraft had 22 mission symbols and two Japanese silhouettes on the side of the aircraft by the time the war ended. 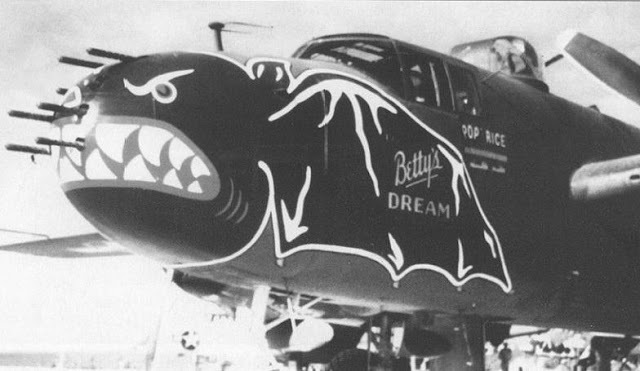 The huge black bat on the nose is highlighted by white writing of “Betty’sDream” over which a blue decal lights it up that little bit more. Betty’s Dream was most famous for escorting the two “Betty” bombers carrying the Japanese peace envoys to Le Shima on August 19, 1945, and again on the return mission from the conference in Manila with General MacArthur’s staff. Interesting here is the use of a decal for the whole bat on the nose. I would put my money on the decal sheet being malleable enough to withstand the handling – my confidence is that strong with the Cartograf stock. Some more - but not Betty's dream - "Bat nosed" birds of that squadron so you can see more of the look of the finished aircraft. What I can say after a more than thorough look at these decals is that the artwork is top notch – the researcher has gone above and beyond to find such an off the wall subjects in his “199” and “fatso” especially – and still we are supplied with a firm fan favourite in “Betty’s Dream” – something for everyone. With the quality of the decal from Cartograf the result will be undeniably good. If you find the scheme you like on this sheet the choice is really made for you already. My many thanks to Judy, Jerry and Mark from EagleCals – check out their new website where you can get these decals directly.